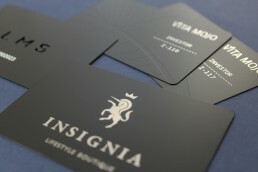 A superbly elegant style that makes the ultimate first impression. 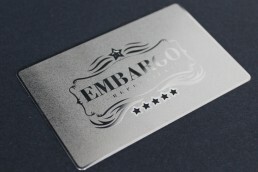 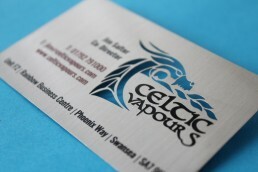 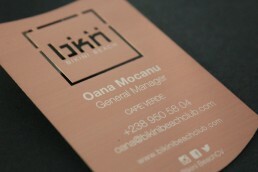 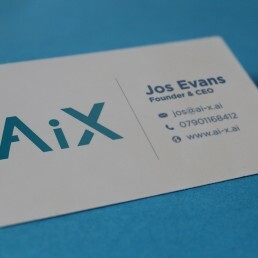 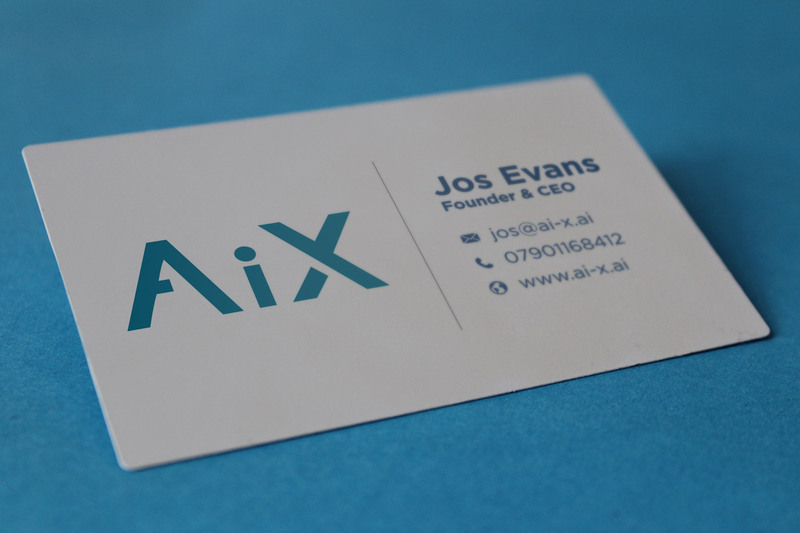 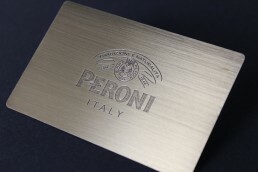 Our matt white metal business cards provide a strong and tactile alternative to the traditional white business card. 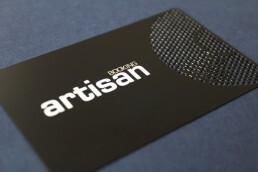 This card cannot be bent or left dog-eared and therefore presents your business in the best light. 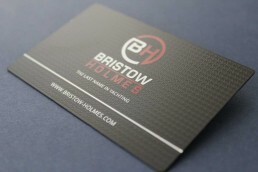 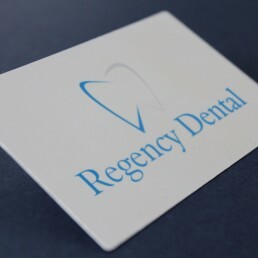 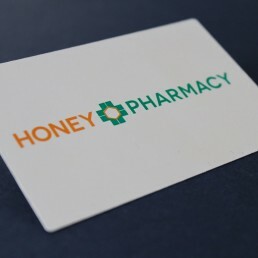 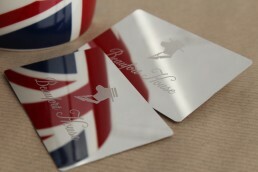 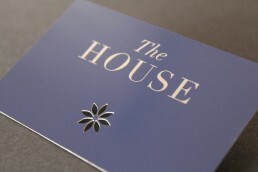 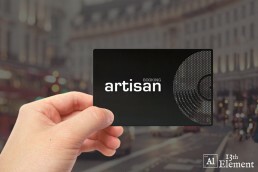 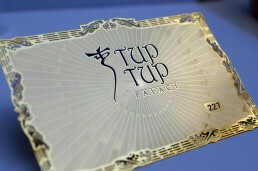 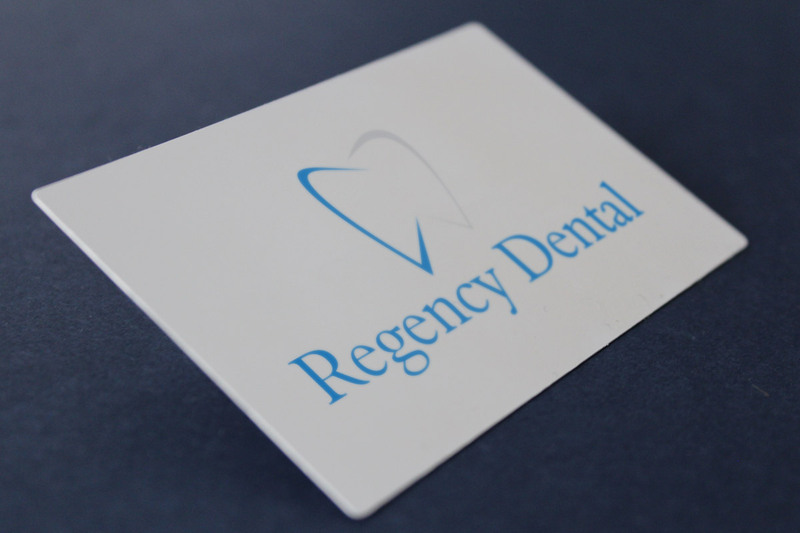 The matt white cards can be laser etched to reveal the metal base, printed with silk print or they can feature cut outs. 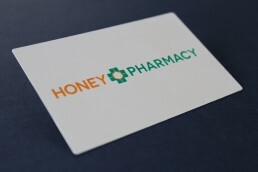 This style is particularly popular within the medical and health industries. 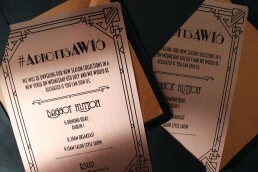 Production time. 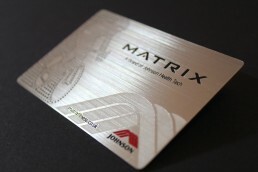 This is when your cards are made. 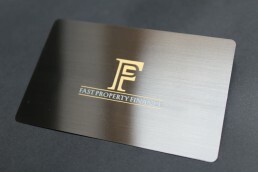 This is no quick process, but then you can’t rush perfection! 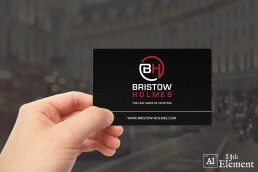 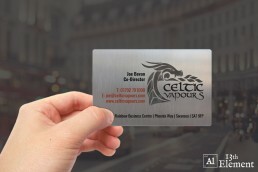 Once your metal business cards are ready they will be delivered the next day to anywhere in the UK (or anywhere in the world in a couple of days).